When carried out effectively, formalised performance reviews can be beneficial for both you and your employees. It is an opportunity for you to demonstrate how much you appreciate your employees’ contributions and undertake collaborative reflection on potential business improvements. However, there are a lot of potential pitfalls that can undermine the effectiveness of performance reviews, sometimes even resulting in negative outcomes. If the review is unfocused it will fail to bring about any tangible results, which can lead to anxiety, confusion and occasionally even job dissatisfaction. Additionally, unproductive performance reviews can be a waste of valuable resources. Performance reviews cannot provide the same benefits as having continuous channels of communication between management levels. It is problematic when performance reviews become the designated time in which issues are addressed. If an employee has been under-performing then you should not wait until their scheduled review to address the problem. Your company will benefit from creating a culture in which there is an ongoing informal review process with managers and subordinates communicating effectively about expectations, difficulties and outcomes. 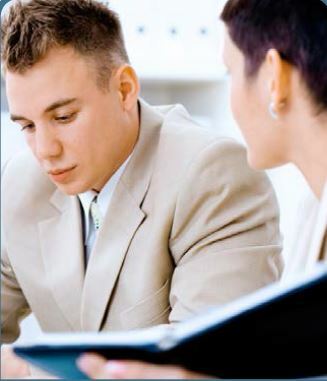 Every aspect of the performance review should be specific to the individual employee and their responsibilities. Your comments and questions should be targeted, drawing on and requesting examples to back up any claims. The performance indicators you use do not need to be uniform, and should be individualised to staff members. The information you collect throughout performance reviews can guide you in many business decisions. For example, you may see the need to make changes to remuneration packages, redefine job descriptions or pursue further staff training. Most importantly, the review process is a chance for you and your employees to take some time out from the day to day operations of your business and reflect on the bigger picture. The ultimate end goal should be to reach a consensus on future aspirations and cement milestones that are both challenging and achievable.